Raise your hand if you like having lots of options. Us too, especially when it comes to cooking! Which is why we're absolutely loving these build-your-own jacket potato recipes. 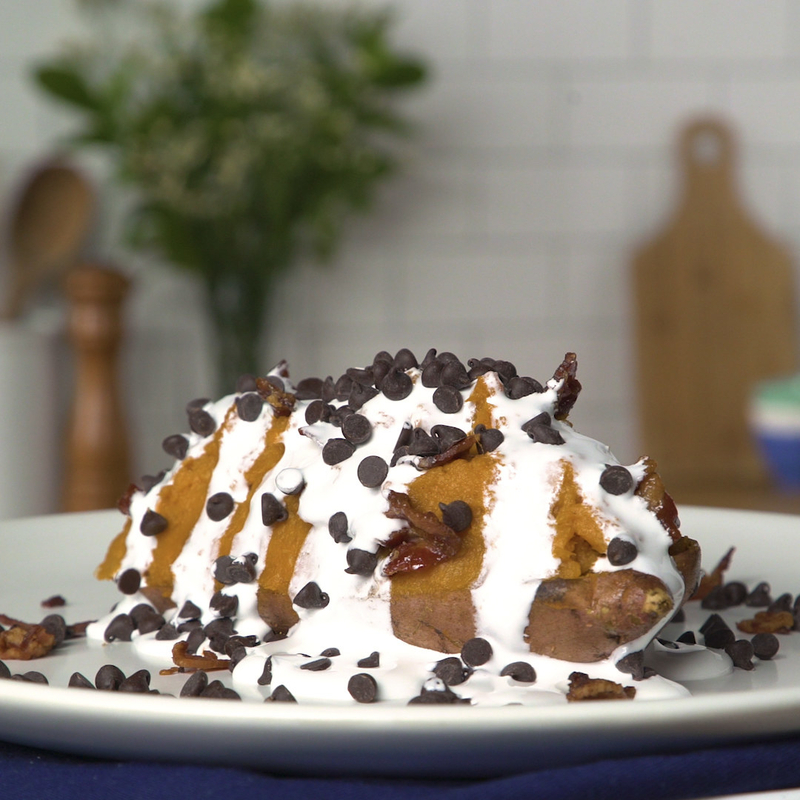 All you gotta do to start is make a simple choice: regular baked potato or sweet potato. Once you've chosen between your sweet or savory base, the toppings are endless. Want something totally crazy and unconventional? Thats OK: There are no rules here! 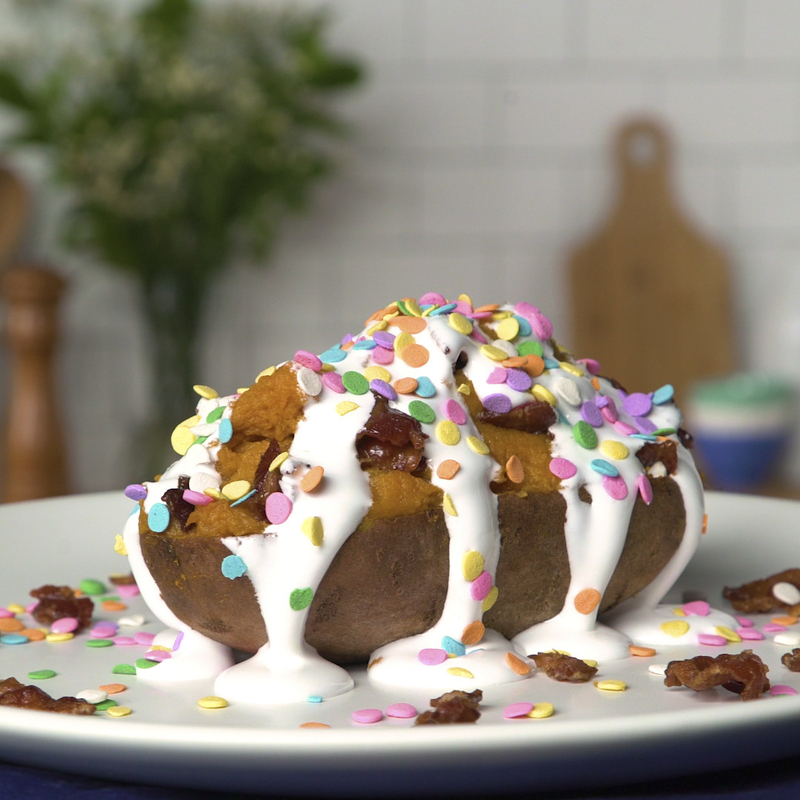 Just imagine: A sweet potato topped with candied nuts, chocolate chips, and a scoop of ice cream... a dessert potato, if you will. Or maybe you're a savory person. How does a baked potato loaded with queso, bacon, and crushed potato chips sound? So go wild and build your own perfect jacket potato. The options are endless, and one single topping changes the entire taste profile. So, let us know which recipe you got in the comments below!